Scientists have finally confirmed a decades-old theory on what causes the faint flickering seen in the Northern Lights toward dawn. 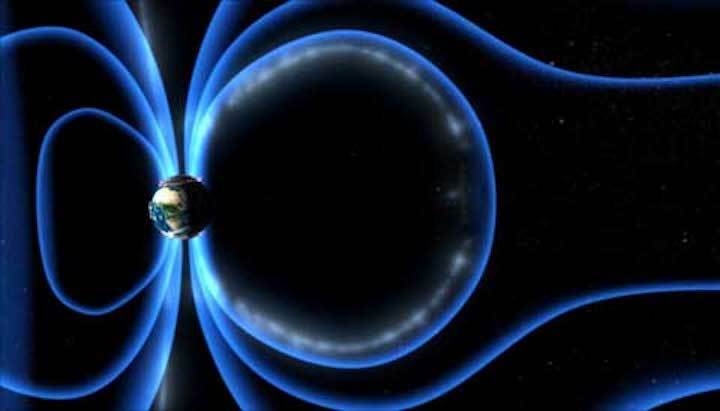 When the magnetic field pinches off on Earth's nightside, charged particles can cross into the magnetosphere, eventually raining down on the ionosphere. We may be approaching solar minimum, when the Sun’s activity cycles down and fewer sunspots appear, but that doesn’t mean auroras disappear. Charged particles are always streaming away from the Sun and interacting with Earth’s magnetic field. 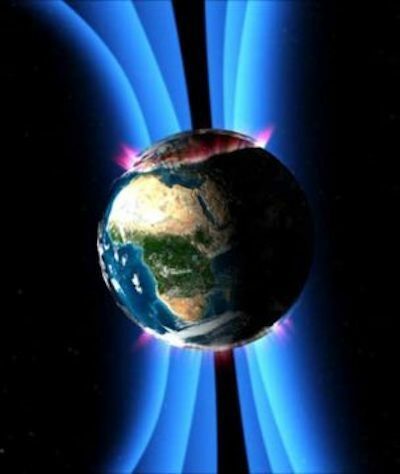 And whenever Earth’s nightside magnetic field pinches off, it sends some of these particles shooting down toward our ionosphere in what is known as a substorm, creating Northern Lights. While astronomers have a good working theory to describe how substorms work, they have yet to directly observe all of the details. But on March 27, 2017, space-based and ground-based stations offered space scientists the opportunity for direct observations, which finally confirm a decades-old theory explaining a pulsating phase of Northern Lights. You can catch an entire so-called substorm on a plane ride to Iceland, should you be so lucky. Last October, I did just that as I was flying over to lead a Sky & Telescope tour group. When I first looked out the window, I assumed the long, arching glow was merely a cloud and went to sleep. Fortunately, I woke up an hour later to see that the “cloud” had brightened into a distinctive shade of green — this calm beginning was the first phase of the substorm. As I kept watch over the next hour or so, the glow became more agitated, splitting into multiple arcs with occasional ripples. Every now and then, a column shot upwards from the arc before fading away. The magnetic nature of these phenomena gave them an eerie appearance — I could see where the Sami (indigenous people of northern Scandinavia) had gotten the idea that the Northern Lights represent communications from the spirit world. These more sudden motions were part of the substorm’s second phase. Had I kept watching toward dawn, I might have glimpsed a subtle third stage: As the arcs fade away, slowly pulsing patches of light may remain even as the Sun comes up on the horizon. Though these aren't auroras as we typically think of them, rippling curtains gracing the midnight sky, they're still impressive. The faint patches can cover tens to hundreds of kilometers on the sky, throbbing with electrons that are intermittently raining down from Earth’s magnetosphere. Electrons spiral along magnetic field lines until they reach Earth's ionosphere, where they smash into molecules to create auroras. Satoshi Kasahara (University of Tokyo) and colleagues report direct observations of a late-stage substorm in the February 15th Nature. The team combined space-based observations from JAXA’s ERG spacecraft with ground-based ones from an all-sky auroral imager in Canada. The synthesis allowed the team to measure electrons spiraling around magnetic field lines in space and then map those lines down to Earth’s ionosphere, where the electrons smash into molecules to create the Northern Lights. The observations show that electrons are amplifying what’s known as whistler-mode chorus waves. The interaction with these radio waves high in the magnetosphere shoots bursts of electrons into the ionosphere, resulting in auroras that pulsate. These observations confirm a theory that has been around for decades but hasn’t been confirmed until now. The video below provides a visual of the electron-chorus wave interaction. Make sure to turn the sound on for the first 20 seconds or so for an example of what chorus waves sound like — the waves occur at VLF or ELF radio frequencies and give an auditory experience of the Northern Lights that’s just as eerie as seeing them.